The microwave might be considered the most useful kitchen product. Many things that can be cooked in the oven or on the stove (think pizza rolls, soup or vegetables) can be cooked even faster in a microwave oven. 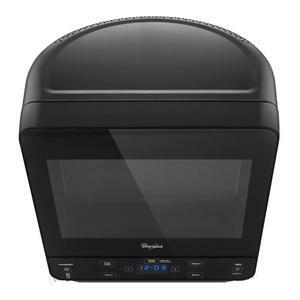 If you find yourself without a working microwave and in the market for the best oven, be sure you know exactly what you want before you start looking. The sheer number of options can really be overwhelming! Before starting your search, decide which features are important to you when it comes to your microwave oven. If you do not currently use seven different defrost options, it is likely that you will not use them on your new microwave either. However, if you always wished you had an “Add Minute” button like the microwave at the office, perhaps that is something to consider before making a purchase. 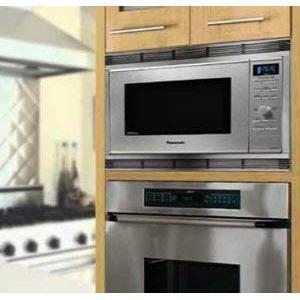 The Panasonic NN-SD681S microwave oven has many features to think about before deciding to buy. Some of these features are standard on most microwaves while others are clearly advanced. Panasonic uses the latest technology to make microwaved food look and taste like it was baked to perfection in a conventional oven. Whether you’re cooking a frozen dinner or reheating a birthday feast, the Panasonic NN-SD681S will use its inverter technology to ensure that the middle is warm without burning the edges. 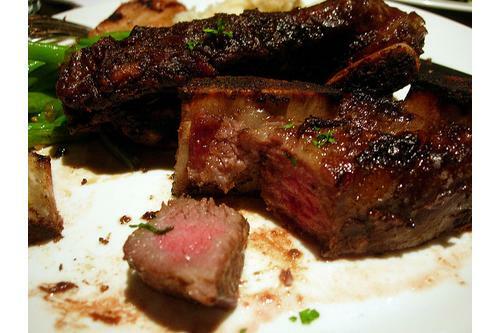 The same technology is used in its one-touch sensor which adjusts the amount of heat needed according to the type of food placed in it by automatically changing the necessary cooking times. 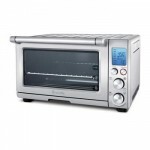 By going through the various Panasonic NN-SD681S microwave oven reviews in this site, you will learn that this popular model gives off 1,200 watts of power. 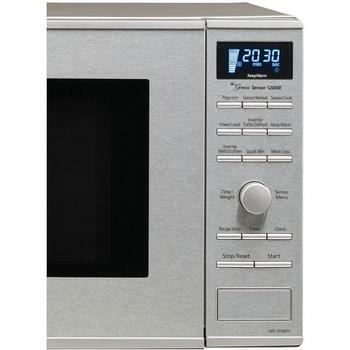 Most microwaveable recipes require between 1,000 and 1,200 watts for the suggested cook times to be accurate. 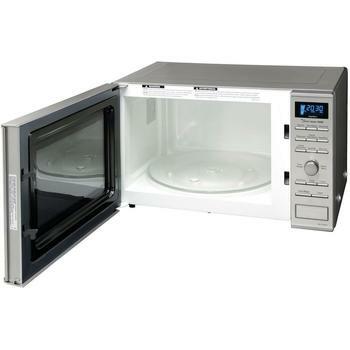 At the top end of that spectrum, this microwave will never leave your meal undercooked. 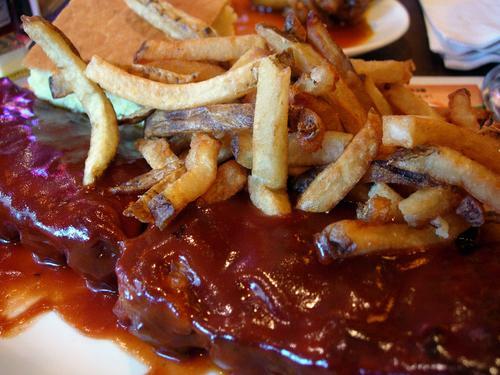 Its inverter technology will keep your food from burning as well. The delay start option allows you to leave your food in the microwave and set it to cook when you’re ready for it. Then you don’t have to worry about starting the microwave ten minutes before the turkey is finished! Just set it up from that way from the beginning. The timer feature will make sure you remove that turkey from the oven at the right time as well. Like a rice cooker or conventional oven, the Panasonic NN-SD681S has a “keep warm” feature that will keep your food from getting cold. By the time your favorite TV show is over and the whole family gather at the dinner table, you’ll be assured that the meal is warm and ready to serve. It’s also great for things like cheese dips that need to remain warm in order to keep their shape and texture. The Panasonic NN-SD681S only comes in stainless steel. This is a great compliment to other stainless steel appliances in many kitchens. However, if your appliances are black or white the stand-alone stainless steel microwave may stand out on your countertop. It is also a perfect rectangle so it will fit nicely on the counter against the wall but at 1.2 cubic feet it may be too bulky to sneak into a corner. 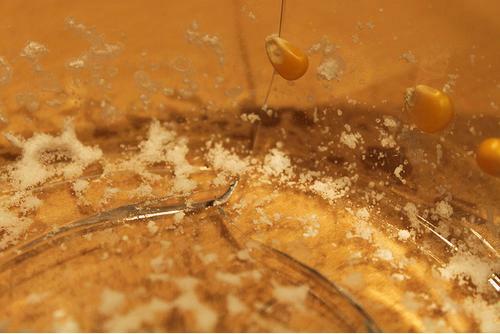 The turntable inside the microwave oven is 13-1/2″ inches so a normal dinner plate will fit and rotate without a hitch. It is also removable for easy cleaning. You can take it out and wipe it down or even place the turntable in the dishwasher while you clean the bottom of the microwave. Because it is removable, you can easily replace the tray or roller ring if necessary. Panasonic is one extremely reliable brand. However, it is not the only reliable brand to choose from. Use the many resources available today to read Panasonic oven reviews and narrow down your options. 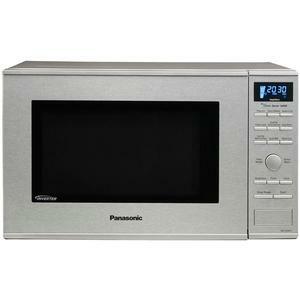 Compare Panasonic to other microwave brands providing similar options and then read the reviews of those few. If you narrow down your search one by one you will be able to sift through the many choices without getting bogged down by too many options. The opinions of people who have purchased this product before you are invaluable to your decision. The reviews for the Panasonic NN-SD681S show top ratings for quality, value, ease of use and features. 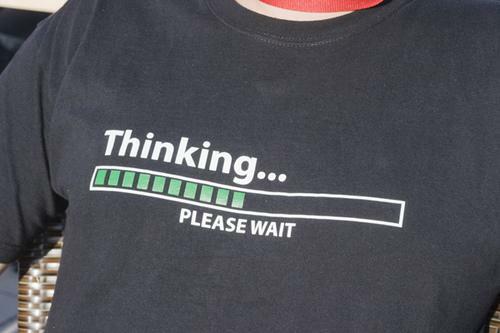 Take these thoughts into consideration before making a purchase. 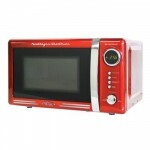 A microwave is a vital asset to every kitchen and a good microwave will last a long time. It is worth the extra time spent before making a purchase. It’s time to make the call. Do you think Panasonic NN-SD681S is a real genius worthy of its place in your kitchen top?